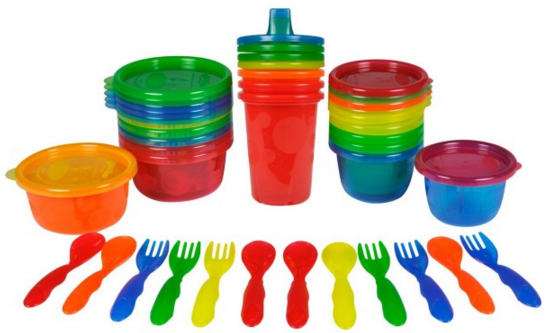 The First Years Take & Toss 28-Pc Variety Pk Just $7.30! You are here: Home / Great Deals / Amazon Deals / The First Years Take & Toss 28-Pc Variety Pk Just $7.30! Take advantage of this great deal on this Take and Toss 28-pc variety pk for only $7.30 on Amazon! The entire line of Take & Toss products is durable enough to use over and over, yet affordable enough to treat as disposables-which is perfect if a container or utensil gets lost in the shuffle of your busy day. Sippy cups and bowls feature snap-on, valve-free lids. Lids are interchangeable with most other Take & Toss products.